The team at Cushman & Wakefield Excellerate's Facilities Management Division is pleased to announce that Rowland Gurnell will be joining as the Managing Director from 1 November 2018. In his new position, Gurnell will be responsible for the strategic management and overall operation of the division. He will also focus on developing the most efficient and cost-effective solutions to meet the needs of the clients. Gurnell brings more than 30 years of experience and leadership to his new role, joining Cushman & Wakefield Excellerate from the Sunbird Group where he was Managing Director for two years. Previously he was Chief Operating Officer at Broll’s Facilities Management Division for 17 years. “I am really excited to be joining the Cushman & Wakefield Excellerate’s Facilities Management team. I look forward to putting my experience and understanding of construction technology as well as mechanical and electrical concepts to use in developing solutions for clients. I feel ready for this challenge and to joining such a dynamic company,” says Gurnell. Gurnell holds a National Higher Diploma in Engineering and an MBA from the University of Leicestershire, UK. 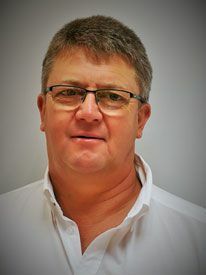 As a key player in the industry, Rowland has had professional affiliations with SAFMA (Director on the Board), SAPOA, GBCSA, and BIFM. “We are thrilled to have someone of Rowlands calibre at the helm to spearhead our Facilities Management operations and wish him all the best in his new role with us,” adds Marna van der Walt, CEO of Cushman & Wakefield Excellerate.